Brecher, Frank W. Securing American Independence: John Jay and the French Alliance. Westport, Conn.: Praeger Publishers, 2003. Casto, William R. The Supreme Court in the Early Republic: The Chief Justiceships of John Jay and Oliver Ellsworth. Columbia, S. C.: University of South Carolina Press, 1995. Hobart, Lois. Patriots Lady: The Life of Sarah Livingston Jay. New York: Funk & Wagnalls Company, 1960. Hubbard, Elbert. John Jay, The First Chief Justice of the United States, by Elbert Hubbard. New York: The Hartford Lunch Co., 1918. Jay, John. The Diary of John Jay During the Peace Negotiations of 1782. Being a complete and faithful rendering of the original manuscript, now published for the first time. 2d printing, with corrections. With an introduction by Frank Monaghan. New Haven, Bibliographical Press, Yale University, 1934. ___. The Federalist: A Collection of Essays, Written in Favour of the New Constitution, As Agreed Upon by the Federal Convention, September 17, 1787. Special ed. Leaf book. Union, N.J.: Lawbook Exchange; Mansfield Centre, Conn.: Martino Pub., 2001. Jay, John. John Jay. Edited by Richard B. Morris; Floyd M. Shumway, associate editor; Ene Sirvet and Elaine G. Brown, assistant editors. New York: Harper & Row, 1975. ___. Letters, Being the Whole Correspondence Between the Hon. John Jay, Esq., and Mr. Lewis Littlepage: A Young Man Whom Mr. Jay, When in Spain, Patronized and Took into his Family. A new and correct edition to which is added an appendix. New York: Printed and sold by F. Childs, 1786. Johnson, Herbert Alan. John Jay, 1745-1829. Albany, NY: Office of State History, 1970. ___. John Jay, Colonial Lawyer. New York: Garland Publishing, 1989. Johnston, Henry P., ed. The Correspondence and Public Papers of John Jay. New York: B. Franklin, . Monoghan, Frank. 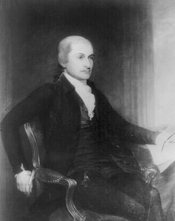 John Jay, Defender of Liberty Against Kings and Peoples, Author of the Constitution and Governor of New York, President of the Continental Congress. Brooklyn, N.Y.: AMS Press, 1972. ___, ed. Unpublished Correspondence of William Livingston and John Jay. Introduction and notes, by Frank Monaghan. Newark, N.J.: New Jersey Historical Society, 1934. ___. John Jay: The Making of a Revolutionary: Unpublished Papers, 1745-1780. New York: Harper and Row, 1980. ___. John Jay: The Winning of the Peace: Unpublished Papers, 1780-1784. New York: Harper and Row, 1980. Pellew, George. John Jay (American Statesmen Series). 1980. Reprint, [Bromall, Pa.]: Chelsea House Publishing, 1997. Stahr, Walter. John Jay: Founding Father. London: Hambledon Press, 2005.